My name is David Steinberg, and I've been constructing crossword puzzles since middle school. I published my first crossword in The New York Times when I was 14 and became the then second-youngest constructor to be published under Will Shortz's editorship. Since June of 2011 I've had a total of 94 puzzles published in the Times; these puzzles have appeared on every day of the week, meaning I've "hit for the cycle." As the youngest person and the one who, at the time, had done so in the fewest number of puzzles (9) and in the shortest period of time (1 year, 8 months), I broke three records. In 2013, I was also the most prolific New York Times constructor, with a total of 15 published that year; in 2017, with 14 published, I was tied for that record with Jeff Chen; in 2018, with 17 published, I was again the most prolific Times constructor. As of 2019, I've hit for the cycle six times over. All told, I've had more than 500 puzzles published in the Times, other markets (including the New York Times crossword app, the Los Angeles Times, The Wall Street Journal, The Chronicle of Higher Education, Newsday, The Orange County Register, Fireball Crosswords, Zynga's Crosswords with Friends, Daily Celebrity Crossword, The Crosswords Club, the American Values Club Crossword, BuzzFeed, 10-4 Magazine, The Jerusalem Post, SPYSCAPE, and the Andrews McMeel Universal syndicate), and books. In addition, in 2013 and 2014, I was commissioned to build the tiebreaker puzzle for Crosswords LA; in 2016, I built a crossword for the Minnesota Crossword Tournament and Crosswords LA; and in 2017, the Peabody Essex Museum asked me to create a puzzle for their 2018 exhibit "PlayTime." I've also created many custom crosswords for clients, friends, teachers, and schools, including Stanford University. 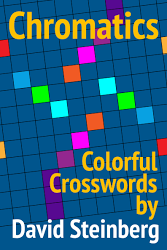 My first book of crosswords, Chromatics, which contained 25 new crosswords, was published in 2012 by Puzzazz. 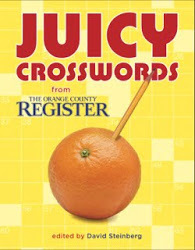 My second book, Juicy Crosswords, featured 72 puzzles I edited for The Orange County Register and was published by Sterling/Puzzlewright Press in 2016. In 2012 one of my puzzles was selected for Twenty Under Thirty, in 2013 a donated puzzle appeared in The American Red Crossword Book, and in 2014 and 2015, two of my puzzles were the Margaret Award winners for Simon & Schuster's Mega Crossword Puzzle Book #14 and Mega Crossword Puzzle Book #15, respectively. In 2018 an article I cowrote with Natan Last, "How to Make a Crossword Puzzle: Part 2," appeared in The New York Times as part of a multiauthor series on crossword construction. At the age of 15, I became the crossword editor of the Orange County Register's 24 associated newspapers, where I edited a weekly puzzle feature for more than five years. In 2017, I became the editor of The Puzzle Society Crossword, a daily nationally syndicated feature for Andrews McMeel Universal and for which I also wrote the Puzzle Society Crossword Crossing blog; I'm now the editor of the Universal Crossword, a daily and Sunday Andrews McMeel Universal internationally syndicated feature. I'm also the founder and director of the Pre-Shortzian Puzzle Project, a collaborative effort to build a digitized, fully analyzable database of New York Times crossword puzzles published from February 15, 1942, to November 20, 1993 (before Will Shortz became editor). I've received several awards for this work: In 2012 I was named Person of the Year on XWord Info, which recognizes "remarkable contributors to crosswords"; in 2013 I was awarded a $25,000 Davidson Fellows Scholarship by the Davidson Institute for Talent Development for the project; and in 2014 I won First Place in Quill and Scroll's 2014 International Writing and Photo Contest – Blogging Competition for the Pre-Shortzian Puzzle Project blog. I've given many talks about the Pre-Shortzian Puzzle Project and crosswords in general. In 2012, I co-presented a workshop on crossword construction with New York Times constructor Andrea Carla Michaels at the Silicon Valley Puzzle Fest. In 2013, I gave a talk about the project at the 36th Annual American Crossword Puzzle Tournament; later that year, I gave an hour-long presentation, "The Crossword Centennial: 100 Years of Black and White Squares," at the Palos Verdes Peninsula Center Library. In the spring of 2014, I presented the results of my research on gender in pre-Shortzian puzzle authorship at the 37th Annual American Crossword Puzzle Tournament, and in the summer, I gave an hour-long talk on crosswords at the Newport Beach Public Library. At the 38th Annual American Crossword Puzzle Tournament in 2015, I presented the results of my research on using computational stylometry to help identify the authors of New York Times crosswords without bylines. And that summer I was an invited speaker at ideacity, a TED-like annual conference in Toronto billed as "Canada's Premier Meeting of the Minds." I was also an invited panelist at the Davidson Young Scholars Summit in Reno, where I spoke about the Pre-Shortzian Puzzle Project. In the fall of 2015 I taught a course on crosswords to middle and high school students in Stanford University's Splash program, which I offered again in the spring; in 2016, I had a guest Skype conversation with the Wofford College (Spartanburg, S.C.) crossword class "Thinking Inside the Box: The New York Times Crossword Puzzle"; and in 2017, I was a guest speaker for a Stanford University Linguistics course. In 2018, I presented "104 Years of Crossword Puzzles" at The Forum at Rancho San Antonio, a retirement community near Stanford. I've attended many tournaments and conventions, including the 35th (2012), 36th (2013), 37th (2014), 38th (2015), 39th (2016), 40th (2017), 41st (2018), and 42nd (2019) Annual American Crossword Puzzle Tournament, where, respectively, I was the youngest entrant, served as a judge, was the youngest entrant again and placed 2nd in the D Division, was the youngest contestant ever to win the C Division championship, and, for the last four years, placed 2nd in the Juniors Division; 2012, 2013, and 2014 Crosswords LA, where I most recently finished 3rd in the Regular Division; the Fourth, Fifth, Sixth, and Seventh Annual Bay Area Crossword Puzzle Tournament, where I was the four-time Junior Division winner and most recently finished 5th in the Regular Division; the Sixth Annual Silicon Valley Puzzle Fest; 2016 and 2017 Lollapuzzoola; Marbles: The Brain Store's 5th Annual Crossword Tournament, where I was a judge; and the Second National Brain Game Challenge. I'm also a member of the National Puzzlers' League and have attended its Los Angeles–area puzzle parties as well as seven of its annual conventions: Orecon in 2012, ConTex in 2013, MaineCon in 2014, Recouvery in 2015, SiLiCon in 2016, BeaCon in 2017, and Milwaukee in 2018. "David Steinberg (crossword editor)." Wikipedia. "Picking Up On," by Caitlin Lovinger. Wordplay: The Crossword Blog of The New York Times, March 22, 2019. "Miscellaneous Part," by Deb Amlen. Wordplay: The Crossword Blog of The New York Times, March 7, 2019. "Outré," by Caitlin Lovinger. Wordplay: The Crossword Blog of The New York Times, February 1, 2019. "Things That Contain 59-Across," by Deb Amlen. Wordplay: The Crossword Blog of The New York Times, December 27, 2018. "Rock Climber's Challenge," by Caitlin Lovinger. Wordplay: The Crossword Blog of The New York Times, December 7, 2018. "Title for a Fox," by Caitlin Lovinger. Wordplay: The Crossword Blog of The New York Times, November 23, 2018. "Unthemed," by Caitlin Lovinger. Wordplay: The Crossword Blog of The New York Times, November 3, 2018. Discusses my response to a crossword history question and links to The Pre-Shortzian Puzzle Project. "'You Wanna Fight?!'" by Deb Amlen. Wordplay: The Crossword Blog of The New York Times, November 1, 2018. "Give a Whoop," by Caitlin Lovinger. Wordplay: The Crossword Blog of The New York Times, September 28, 2018. "Never mess up the crossword puzzles, a wise editor once said," by Rob Curley. The Spokesman-Review, September 22, 2018. "With One's Glass Raised," by Deb Amlen. Wordplay: The Crossword Blog of The New York Times, August 2, 2018. "Archaeologist's Workplace," by Deb Amlen. Wordplay: The Crossword Blog of The New York Times, July 17, 2018. "Voilà!" by Deb Amlen. Wordplay: The Crossword Blog of The New York Times, June 28, 2018. "Hero Decorations," by Deb Amlen. Wordplay: The Crossword Blog of The New York Times, June 20, 2018. "Drunk Before Dinner," by Deb Amlen. Wordplay: The Crossword Blog of The New York Times, May 22, 2018. "Chewy, Fruity Candy," by Deb Amlen. Wordplay: The Crossword Blog of The New York Times, May 10, 2018. "Hit After Hit," by Deb Amlen. Wordplay: The Crossword Blog of The New York Times, April 26, 2018. "Variety: Diagramless Crossword," by Caitlin Lovinger. Wordplay: The Crossword Blog of The New York Times, April 7, 2018. "Small Slice of Pizza," by Deb Amlen. Wordplay: The Crossword Blog of The New York Times, April 5, 2018. "Summer Camp Craft," by Deb Amlen. Wordplay: The Crossword Blog of The New York Times, March 28, 2018. "Like a Mythical Lion," by Deb Amlen. Wordplay: The Crossword Blog of The New York Times, February 15, 2018. "Want to Know What the Future Holds? Look No Further Than the Nearest Crossword Puzzle," by Emily Ludolph. 99U, February 1, 2018. "Curses, Foiled Again," by Deb Amlen. Wordplay: The Crossword Blog of The New York Times, January 15, 2018. "Vowel Play," by Deb Amlen. Wordplay: The Crossword Blog of The New York Times, January 6, 2018. "Indicator of Liquidity," by Deb Amlen. Wordplay: The Crossword Blog of The New York Times, December 28, 2017. "Shell Game," by Deb Amlen. Wordplay: The Crossword Blog of The New York Times, December 2, 2017. "Snapping With Only Slight Provocation," by Deb Amlen. Wordplay: The Crossword Blog of The New York Times, November 23, 2017. "Having One's Hard Work Recognized," by Deb Amlen. Wordplay: The Crossword Blog of The New York Times, October 26, 2017. "Western Grouse," by Martin Herbach. Wordplay: The Crossword Blog of The New York Times, September 21, 2017. "Part of a Magic Act," by Deb Amlen. Wordplay: The Crossword Blog of The New York Times, August 23, 2017. "Bamboo-Eating Bear," by Martin Herbach. Wordplay: The Crossword Blog of The New York Times, July 30, 2017. "Challenge Accepted," by Deb Amlen. Wordplay: The Crossword Blog of The New York Times, July 7, 2017. "Not Be Direct," by Deb Amlen. Wordplay: The Crossword Blog of The New York Times, June 7, 2017. "Look Before You Leap," by Deb Amlen. Wordplay: The Crossword Blog of The New York Times, May 19, 2017. "Intermission Starter," by Deb Amlen. Wordplay: The Crossword Blog of The New York Times, April 27, 2017. "Time of One's Life," by Deb Amlen. Wordplay: The Crossword Blog of The New York Times, March 24, 2017. "Exploration of Crossword Puzzles," by Kenneth Shinozuka. WHRB Harvard Radio Broadcasting, February 28, 2017. Puzzle discussed at approximately 12:48. "Often Drawn at Night," by Deb Amlen. Wordplay: The Crossword Blog of The New York Times, February 16, 2017. "Hit the Deck," by Deb Amlen. Wordplay: The Crossword Blog of The New York Times, January 28, 2017. "Precocious Puzzles," by Samuel Scott. Stanford Magazine, January/February 2017. "Say Yes or No," by Deb Amlen. Wordplay: The Crossword Blog of The New York Times, December 23, 2016. "Things That May be Locked or Sealed," by Deb Amlen. Wordplay: The Crossword Blog of The New York Times, December 6, 2016. "Sentence Structure," by Deb Amlen. Wordplay: The Crossword Blog of The New York Times, November 22, 2016. "Something No One Can Sing," by Deb Amlen. Wordplay: The Crossword Blog of The New York Times, November 3, 2016. "Variety: Diagramless Crossword Puzzle," by Deb Amlen. Wordplay: The Crossword Blog of The New York Times, October 22, 2016. "The Squarest, Man," by Deb Amlen. Wordplay: The Crossword Blog of The New York Times, August 28, 2016. 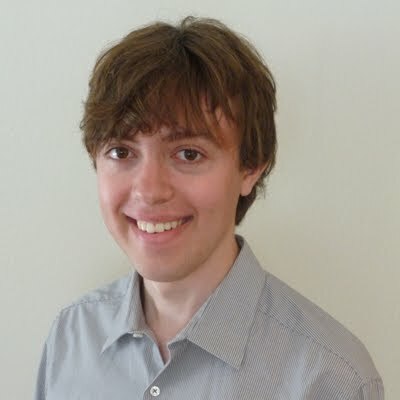 "At 19, Irvine's David Steinberg is already a seasoned crossword puzzle pro," by David Whiting. The Orange County Register, August 19, 2016. "Out of This World," by Deb Amlen. Wordplay: The Crossword Blog of The New York Times, July 23, 2016. "Wheel That Runs," by Deb Amlen. Wordplay: The Crossword Blog of The New York Times, June 9, 2016. "Night Visions," by Deb Amlen. Wordplay: The Crossword Blog of The New York Times, May 12, 2016. "Things With Round Numbers," by Deb Amlen. Wordplay: The Crossword Blog of The New York Times, April 14, 2016. "Crossword puzzles involve a significant amount of wordplay and creativity," by Anja Goritzka. word-grabber.com, March 30, 2016. "Warm Fuzzies," by Caitlin Lovinger. Wordplay: The Crossword Blog of The New York Times, March 7, 2016. "The 2015 Orca Awards – Best Gimmick Crossword," by Sam Donaldson. Diary of a Crossword Fiend, March 3, 2016. "Summer Job," by Deb Amlen. Wordplay: The Crossword Blog of The New York Times, February 5, 2016. "Scream One's Head Off," by Deb Amlen. Wordplay: The Crossword Blog of The New York Times, December 31, 2015. "Do What You Love, Even Into Your 100's!" by Kathy Bernard & Barbara Kline AKA "The 2BoomerBabes." Get Old, December 4, 2015. Across and Down, by Hayley Gold. Comic about my November 11, 2015, New York Times crossword. "Old Rush Participants," by Deb Amlen. Wordplay: The Crossword Blog of The New York Times, November 10, 2015. "Modern Transaction Unit," by Deb Amlen. Wordplay: The Crossword Blog of The New York Times, October 8, 2015. "Yet Another XWord Info Update," by Jim Horne. XWord Info, September 30, 2015. "Puzzler's Wednesday – Roy Leban," by Debbie Manber Kupfer. Paws 4 Puzzles, September 9, 2015. "CarmenTV – Ideacity Crossword Expert," by Carmen Ruiz y Laza, August 31, 2015. "That Lucky Old Sun," by Deb Amlen. Wordplay: The Crossword Blog of The New York Times, August 20, 2015. "Toward the Back of a Ship," by Deb Amlen. Wordplay: The Crossword Blog of The New York Times, August 2, 2015. "March Madness: The 2015 American Crossword Puzzle Tournament," by Raymond Simon. Games World of Puzzles, August 2015. "My Puzzling Life," talk given at ideacity 2015, conference in Toronto, Canada, June 17, 2015. "Emulate an Esne," by Deb Amlen. Wordplay: The Crossword Blog of The New York Times, June 11, 2015. "Student finds success in his crossword puzzles," by Ed Pilolla. Palos Verdes Peninsula News, June 4, 2015. "They'll Help You Out," by Deb Amlen. Wordplay: The Crossword Blog of The New York Times, April 30, 2015. "More Than a Joke," by Thomas Gaffney. Wordplay: The Crossword Blog of The New York Times, April 22, 2015. "David Steinberg." ideacity Newsletter, April 16, 2015. "Because I Say So," by Vic Fleming. The Memphis Daily News, April 2, 2015. "Need Anything Else?" by Deb Amlen. Wordplay: The Crossword Blog of The New York Times, March 27, 2015. "Getting Out of a Jam," by Deb Amlen. Wordplay: The Crossword Blog of The New York Times, March 10, 2015. "An Infamous Gap," by Deb Amlen. Wordplay: The Crossword Blog of The New York Times," February 13, 2015. "Bernice Gordon, longtime creator of crossword puzzles, dies at 101," by Elaine Woo. Los Angeles Times, February 3, 2015. "This 'n' That," by Deb Amlen. Wordplay: The Crossword Blog of The New York Times, January 31, 2015. "Burning Sensation," by Deb Amlen. Wordplay: The Crossword Blog of The New York Times, January 1, 2015. "Where El Nuevo Herald Is Read," by Deb Amlen. Wordplay: The Crossword Blog of The New York Times, November 21, 2014. Across and Down, by Hayley Gold. Comic on November 20, 2014, comparing my May 23, 2014, New York Times crossword with another constructor's puzzle. "Low-Tech Hacker," by Deb Amlen. Wordplay: The Crossword Blog of The New York Times, October 9, 2014. "Inside the Box: Crossword Puzzle Constructing in the Computer Age," by Julie Leibach. Science Friday, September 19, 2014. "Puzzle Creators: The people behind the games," by Ted Fry. Horizon [Alaska Airlines magazine], September 2014, pp. 54–61. "Vicks Product," by Deb Amlen. Wordplay: The Crossword Blog of The New York Times, August 29, 2014. "Puzzling Women," by Joshua Kosman and Henri Picciotto. The Nation, August 28, 2014. "Crossword blog: where are the female setters?" by Alan Connor. The Guardian, August 18, 2014. "Puzzle Trouble: Women and Crosswords in the Age of Autofill," by Anna Shechtman. The American Reader, August 13, 2014. "The Whole Shebang," by Deb Amlen. Wordplay: The Crossword Blog of The New York Times, August 10, 2014. Across and Down, by Hayley Gold. Comic about my July 5, 2014, New York Times crossword. "What Ruthless People Show," by Deb Amlen. Wordplay: The Crossword Blog of The New York Times, July 4, 2014. "Everything Crossword." Bookmark: The Quarterly Newsletter of the Newport Beach Public Library Foundation, Summer 2014, p. 9. "Family Guy," by Deb Amlen. Wordplay: The Crossword Blog of The New York Times. June 12, 2014. Across and Down, by Hayley Gold. Comic about my May 23, 2014, New York Times crossword. "Inside Opening," by Deb Amlen. Wordplay: The Crossword Blog of The New York Times, May 22, 2014. "Winners of 2014 Writing and Photo Contest, and Blogging Competition," by Vanessa Shelton. Quill and Scroll, May 2014. "Amazing Kids! of the Month – May 2014 – Davidson Fellows," by Kasey Dallman. Amazing Kids! Magazine, May 2014. "Day Trip Destination," by Deb Amlen. Wordplay: The Crossword Blog of The New York Times, April 9, 2014. "Havana Highball," by Deb Amlen. Wordplay: The Crossword Blog of The New York Times, March 7, 2014. "Teenage Crossword Puzzle Maven Goes Digital," by Jonathan Zalman. Tablet Magazine, March 7, 2014. "Rap Devotee," by Deb Amlen. Wordplay: The Crossword Blog of The New York Times, February 17, 2014. "They Often Elicit Blessings," by Deb Amlen. Wordplay: The Crossword Blog of The New York Times, February 3, 2014. "In the 'cross' hairs: Puzzlers compete for winning way with words," by Jarret Liotta. Westport-News, February 3, 2014. "Exchange Some Words," by Deb Amlen. Wordplay: The Crossword Blog of The New York Times, January 17, 2014. "Crossword Creator Marks 100th Birthday With Puzzle," by Kathy Matheson. Associated Press, January 13, 2014. "2013 Davidson Fellows Award Ceremony," by The Davidson Institute. YouTube, January 9, 2014. Video of the September 28, 2013, award ceremony; my speech starts at approximately 51:05. "5 Questions: Alumni Edition," by gmdirect. PuzzleNation, January 2, 2014. "Between a Birdie and a Bogey," by Deb Amlen. Wordplay: The Crossword Blog of The New York Times, December 29, 2013. "Quite a Milestone, as Milestones Go," by Deb Amlen. Wordplay: The Crossword Blog of The New York Times, December 20, 2013. "100 Years of the Crossword," by Charles Apple. The Orange County Register, December 20, 2013. "Celebrating 100 years of cr_ssw_rds," by Kate Kilpatrick. Al Jazeera America, December 18, 2013. "Dare to be Stupid," by Deb Amlen. Wordplay: The Crossword Blog of The New York Times, December 11, 2013. "From G-Funk to Geometry," by Thomas Gaffney. Wordplay: The Crossword Blog of The New York Times, November 15, 2013. "Project Spotlight: Getting a Clue," by Kristi Birch. Cogito, November 8, 2013. "5 Questions with Constructor and Puzzle Archivist David Steinberg," by gmdirect. PuzzleNation, October 24, 2013. "Shape Shifters," by Deb Amlen. Wordplay: The Crossword Blog of The New York Times, October 17, 2013. "Campus Beat," by Rob Kuznia. Palos Verdes Peninsula News, October 3, 2013. "BAC Fill 6 – Results," by Bran McMillin. Puzzle Pile, September 16, 2013. "Crossword puzzle database earns scholarship for Peninsula High whiz," by Rob Kuznia. The Daily Breeze, September 15, 2013. "Modern Mouse Hole," by Deb Amlen. Wordplay: The Crossword Blog of The New York Times, August 29, 2013. "Something for Trill-Seekers," by Deb Amlen. Wordplay: The Crossword Blog of The New York Times, July 17, 2013. "Puzzling collaboration has Phila. connection," by Sarah Smith. The Philadelphia Inquirer, June 26, 2013. "Four Score and Three," by Deb Amlen. Wordplay: The Crossword Blog of The New York Times, June 25, 2013. "Bushes Were Found There," by Deb Amlen. Wordplay: The Crossword Blog of The New York Times, June 12, 2013. On Crosswords: Thoughts, Studies, Facts and Snark About a 100-Year-Old Pastime, by T Campbell. Virginia Beach, VA: Koehler Books, June 1, 2013, pp. 29, 48. Crosswords at a Crossroad: The Puzzle Turns 100. What Is the Clue to Its Survival?, by Lynn J. Feigenbaum. Master's thesis, Old Dominion University, May 2013. "Irreverent Sermonettes," by Deb Amlen. Wordplay: The Crossword Blog of The New York Times, May 24, 2013. "What the Picky Pick," by Deb Amlen. Wordplay: The Crossword Blog of The New York Times, April 19, 2013. "Spiral-Horned Antelope," by Deb Amlen. Wordplay: The Crossword Blog of The New York Times, March 22, 2013. "Saturday, March 23, 2013," by Rex Parker. Rex Parker Does the NY Times Crossword Puzzle, March 22, 2013. 2013 American Crossword Puzzle Tournament results page [links to video of a talk I gave on the Pre-Shortzian Puzzle Project]. "Gets in a Lather," by Deb Amlen. Wordplay: The Crossword Blog of The New York Times, March 8, 2013. "Goes Well With Meat," by Deb Amlen. Wordplay: The Crossword Blog of The New York Times, January 28, 2013. "Best Work in Crossword Scholarship," by T Campbell. Diary of a Crossword Fiend, January 12, 2013. "Making Scents of Things," by Deb Amlen. Wordplay: The Crossword Blog of The New York Times, January 1, 2013. "Person of the Year," by Jim Horne. XWord Info, December 31, 2012. "PV Student Gives Historic Crossword Puzzles New Life," by John Schreiber. Palos Verdes Patch, November 13, 2012. "A Passion for Crossword Puzzles Past, Present and Future," by Annie Lubinsky. Palos Verdes Peninsula News, November 8, 2012. "Puzzle Master," by Julie Sharp. CBS Los Angeles KCAL 9 News, November 2, 2012. "Crossword Puzzles Come Easy to Palos Verdes Peninsula High Student," by Rob Kuznia. The Daily Breeze, October 28, 2012. "Teen Clued into Crossword Puzzle World from Age 12, Published at 14," by Lori Basheda. The Orange County Register, October 14, 2012. "Former Edmonds Teen Heads Up Crossword Project, Publishes Book." Edmonds Beacon, September 27, 2012. "A Giant Crossword," by Deb Amlen. Wordplay: The Crossword Blog of The New York Times, September 16, 2012. "Center of Gravity," by Deb Amlen. Wordplay: The Crossword Blog of The New York Times, August 20, 2012, paragraph 9. "Don't Be a SPLACKNUCK—Support the PSPP," by Jim Horne. XWord Info, August 10, 2012. "Modern Crossword Humor," by Vic Fleming. Daily Record, August 10, 2012. "The Week in Crosswords," by T Campbell. Diary of a Crossword Fiend, August 5, 2012. "Crossword Contrasting Continues," by Vic Fleming. Daily Record, August 3, 2012. "Support the Pre-Shortzian Puzzle Project," by Jim Horne. XWord Info, July 30, 2012. "Spare Moments of Litzing," by Vic Fleming. Daily Record, July 27, 2012. "Interview with David Steinberg," by C.C. Burnikel. L.A. Times Crossword Corner: L.A. Times Daily Crossword Blog, April 10, 2012. "When it Comes to Puzzles, Peninsula Student is a Crossword Connoisseur," by Meredith Skrzypczak. Palos Verdes Patch, April 6, 2012. "Campus Beat." Palos Verdes Peninsula News, March 29, 2012. "Friday, February 3, 2012, David Steinberg," by Lemonade714. L.A. Times Crossword Corner: L.A. Times Daily Crossword Blog, February 3, 2012. "Friday: Place For a Plug," by Deb Amlen. Wordplay: The Crossword Blog of The New York Times, January 5, 2012. "Thursday: They Can Be Batted and Rolled," by Deb Amlen. Wordplay: The Crossword Blog of The New York Times, December 28, 2011. "Monday: Something That's Fed Along a Street," by Deb Amlen. Wordplay: The Crossword Blog of The New York Times, November 6, 2011. "Tuesday: Stereotypical Sitcom Greeting." Wordplay: The Crossword Blog of The New York Times, by Deb Amlen, August 15, 2011. "Edmonds Teen Builds Crossword Puzzles for New York Times," by Elisa Hahn. NBC KING 5 News, August 2, 2011. "Edmonds Teen Puzzles New York Times Readers with His Crossword Clues," by Kristi O'Harran. The Herald, August 1, 2011. "Edmonds Puzzler Receives New York Times Honor," by Pat Ratliff. Edmonds Beacon, June 30, 2011. "Incoming Peninsula High student pens NYT crossword puzzle," by Melissa Pamer. The Daily Breeze, June 23, 2011. "Thursday: Let Off Some Steam," by Deb Amlen. Wordplay: The Crossword Blog of The New York Times, June 15, 2011.